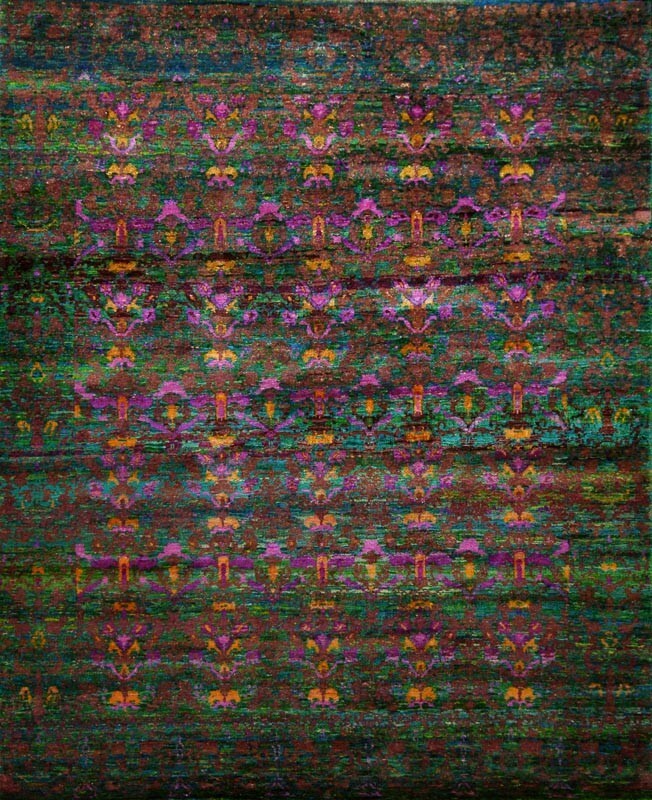 Add some unique flavor to any contemporary interior with this exquisitely hand knotted transitional rug. The luxurious M-9E rug features a vibrant color palette and aesthetic that is highlighted by the sheen of the carpet's premium natural materials. The contrast between the green hues and vibrant pink pops of color create a palette that is inspiring and intriguing. Crafted from the finest Sari silk in India, its vivacity and timeless motif will add elegant character to any room, and its touch is absolutely exquisite and resilient.